Nova Scotia is currently using two area codes. Nova Scotia is using an area code overlay plan which consists of area code 782 as an overlay of area code 902. 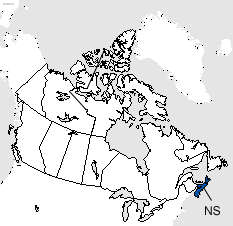 Area codes 902 and 782 cover the entire province of Nova Scotia. Nova Scotia and Prince Edward Island both use area codes 902 and 782. When area code 902 was established in 1947 it served the three provinces of New Brunswick, Nova Scotia and Prince Edward Island. Newfoundland and Labrador were added in 1949 when they joined Canada. In 1955 area code 902 was split to form area code 506 which was assigned to New Brunswick, Newfoundland and Labrador. Area code 902 then served Nova Scotia and Prince Edward Island exclusively. Area code 782 was put into service as an overlay of area code 902. Effective November 16, 2014 ten digit dialing (area code + seven digit number) is required in Nova Scotia.